We are experts with Asterisk based IP-PBX systems such as FreePBX, PBX in a Flash, Elastix, and Vicidial. We handle VoIP installation, service, and repair; we also provide technical support and upgrades to our existing clients. Easily save thousands of dollars on a phone system. pfsense is an open source firewall application which we suggest and prefer for affordable routing and network protection. We are well versed in the installation, configuration and management of pfsense firewalls. Routing and Switching, Wireless, Servers, Upgrades, Email and Web Security, Ransomware Protection, VPN. Our expertise with Dell, Cisco, Windows, Barracuda, VMWare, Hyper-V, Windows Server (All Editions), Active Directory, Firewalls such as Sonicwall, Watchguard, pfsense is of great value to our clients. We also provide offsite and onsite Disaster Recovery to our regular monthly service clients. Let us do the heavy lifting for you. We are a licensed, bonded and insured low voltage contractor. 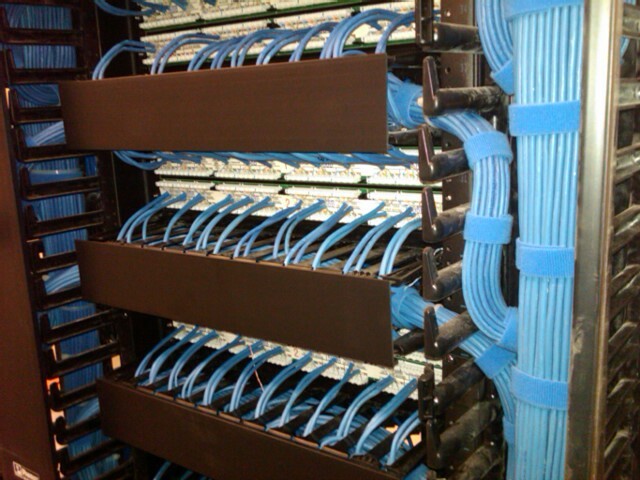 This means we install Fiber, CAT-5e, CAT-6, CAT-7 cabling to industry specification. When you need to set up your office, we are your one call for complete set-up, maintenance and management of your system. Our network administration team can install a new system or upgrade your existing network. We support Cisco, Upiquiti, Dell, & HP switch and router equipment, and we are well versed in small office switch and network equipment as well. Set up and configure your office from your Internet Provider all the way to your desktop. Don’t want to wait on hold with Cox, Spectrum, FiOS, Charter or any other provider? We get it. We’ll handle it for you! We perform “no recovery, no fee” data and disaster recovery. Of course, being prepared with a back up (preferably a replication) of your system is always your best bet. Our regular monthly small business service agreement includes 24/7 disaster preparedness program. However, if your business is down for whatever reason, contact us. We have rescued countless numbers of businesses from what appeared to be a hopeless situation. To date, we have a 95% recovery rate so your chances are good. Recover from failed hard drives, RAID Arrays, Ransomware, Viruses, Malware, Fire and other damage. We repair and replace motherboards, RAID controllers and other server and computer hardware for small businesses.